Gender, Sexuality, Life, and Death. Oh, and a talking chicken named Linda. 11 year old Emory dreams of two things-leaving his farm for Mall Town, USA and going on Star Search. His grandmother wants him to be a normal boy and be friends with Elliott, the tough boy from down the road. Meanwhile Linda, his depressed best friend, dreams of surviving to the next dawn. 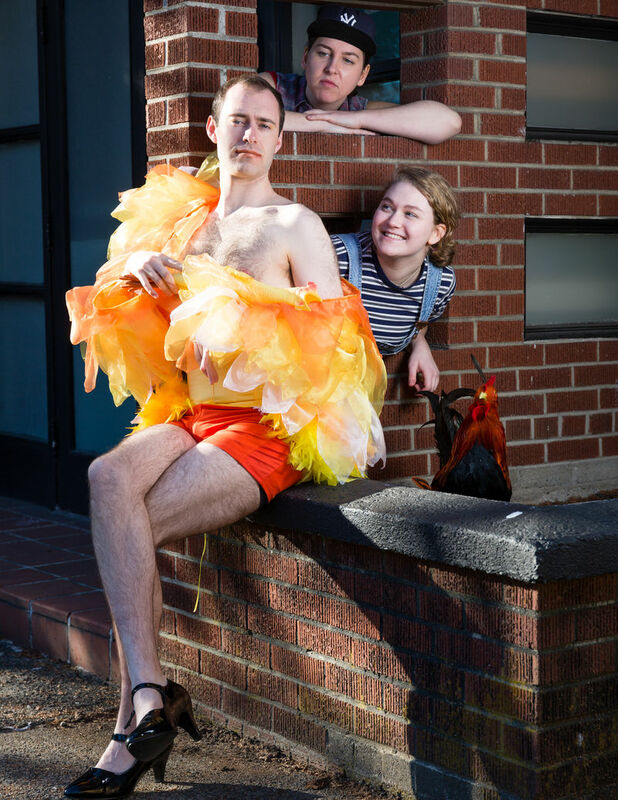 Did we mention that Linda is a giant chicken who does stand up? Guided by the fearful Narrator, watch as tensions build on processing day to the tunes of Britney Spears, Spice Girls and Nina Simone..